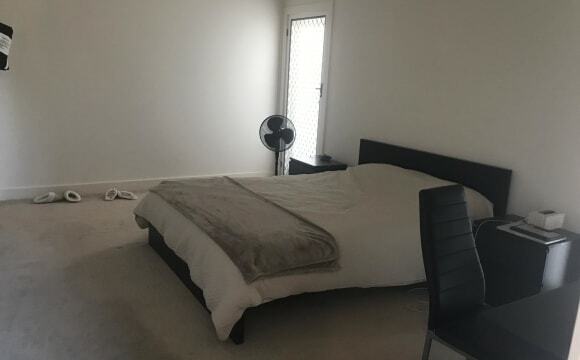 Hi my name is Trisha and I am offering a very spacious bedroom with a built in wardrobe, located downstairs so you have your own privacy. Off the bedroom is an additional room which can be used as a lounge room/office. You have your own two way bathroom which is equipped with a shower, toilet and vanity. At the moment it is set up as a fully equipped gym which you are most welcome to use. There is also a fully functional laundry downstairs that is shared by one other occupant. 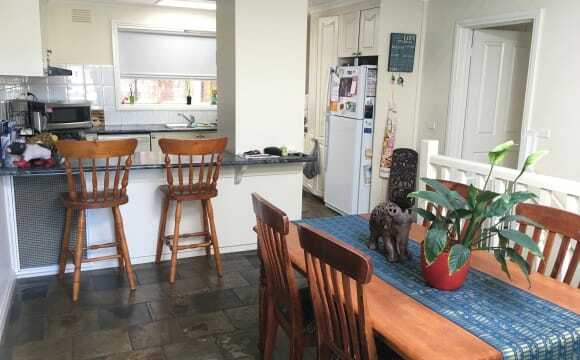 This property comes with great views overlooking the dandenongs and a pool. There is heating and cooling to this area so you will be very comfortable. Beautiful, spacious, open plan living with all the modern conveniences. 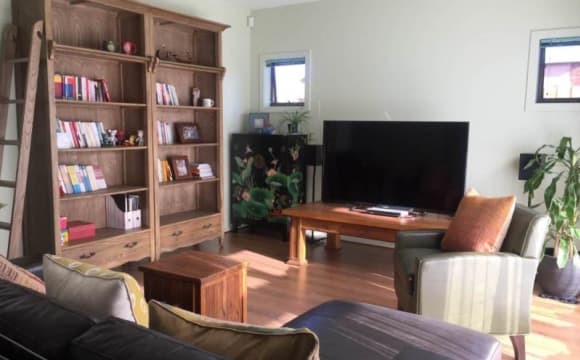 Heating/cooling, BIR, large bathroom with bath, spacious kitchen (lots of bench space and dishwasher), off street parking and brand new deck in leafy garden. Two living areas so plenty of space to do your own thing. 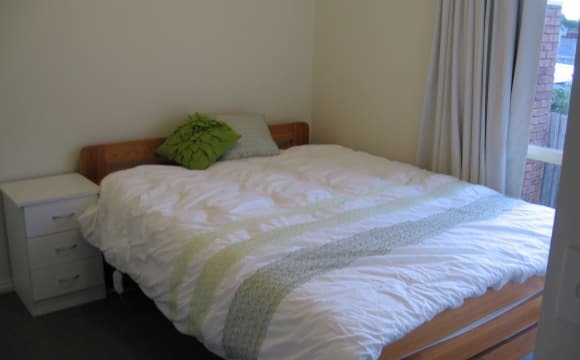 Close to shops, amenities and public transport. 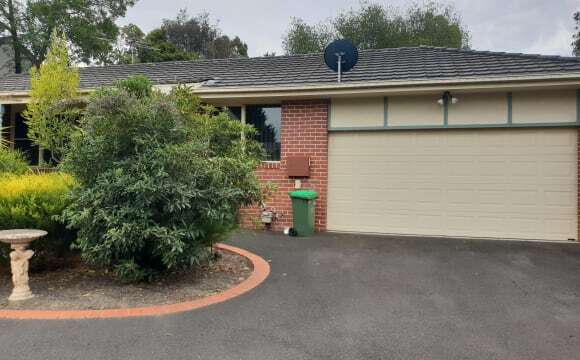 This little unit is situated just a short distance from Briar Hill shops and is only a five minute drive from Montmorency Station, and just a smidge more to Greensborough plaza. There's bus stops a plenty and a few good cafes around. The flat itself has had some work done on the kitchen and bedrooms, now sporting a fresh modern look that makes it feel quite up to date yet homely. While it is close to a few attractions, the property is quite long, so if you do enjoy getting a little down time away from everything, the back courtyard is perfect for that. Living with 2 females, mid-late 20s. Bedroom can easily fit a queen (photo with blue bedding) or a double (orangey bedding) bed plus a few bits of furniture. 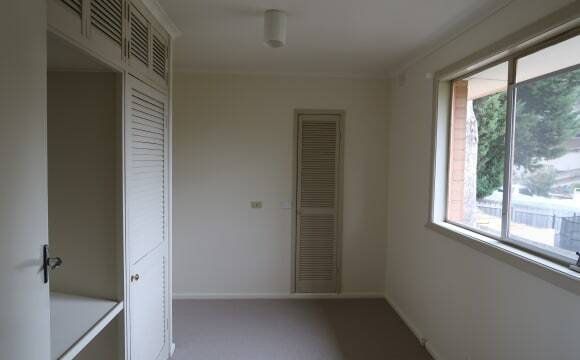 The room has a single built in cupboard with hanging space and 2 large shelves. The house itself has been done up inside fairly recently, so has a decent bathroom (with shower over a full size bath!) And seperate toilet. We just got a brand new toilet and oven installed. You will share the bathroom with one other person (Kira). Outside we have an amazing undercover back deck and large backyard. We have ducted heating and evap cooling throughout the house. There is room to park off the st on the front lawn. Most importantly you must be pet friendly. There is 1 cat living at the house, her name is Puds (Belongs to Emma). Shes super cute and friendly and loves attention. We are located within walking distance to 2 supermarkets (woolies and IGA) and Greensborough plaza (10-15min stroll). Watsonia train station is a 20min stroll or 5 minute bus trip and there is a bus stop right across the road. This bus also goes past woolies and to the main street of Greensborough. We are also close to Grimshaw St where a number of other buses can be caught. We are looking for someone who is clean and down with having a cleaning schedule. We aren't meticulous but if you can unload a dishwasher and wield a mop thats a plus. Prefer a person closer to our age group (25-33). 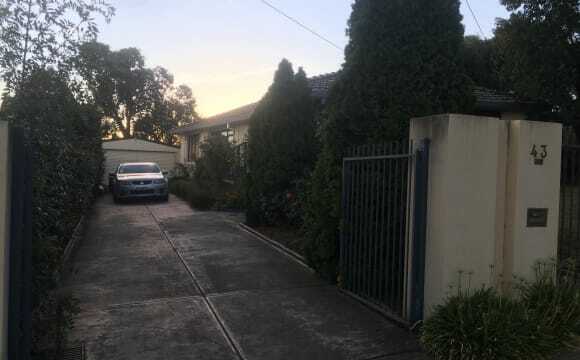 Location - - 10 mins walk of Greensborough Station (30-40 minutes train to the city) - 5 mins walk from Greensborough Plaza - Direct bus to RMIT Bundoora Campas (20 mins) right outside house First month rent upfront but no bond required. This beautiful home has a lovely airy light peace about it. The lounge/ dining area has wide double doors that open onto a large back yard. Great to open on a balmy summer evening. There is Lots of birdlife as we are near Diamond Creek creek. 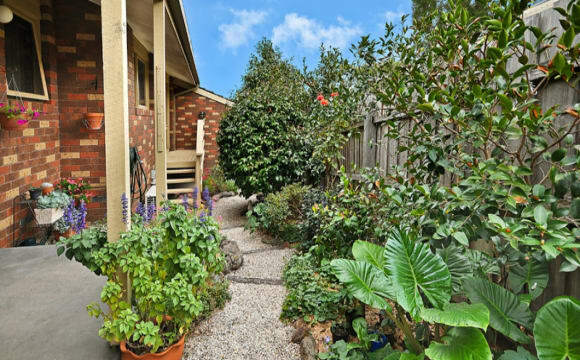 It is situated an easy walk to Eltham with easy access to a bike/ walking trail. Great Saturday and Sunday urban and farmers markets near your doorstep. You'll like this house, alot. It's clean, warm, private and safe. No bond required. We have off street and driveway parking, continuous hot water and good storage. Great, quiet housemates, 1 x professional male, 1 x female student. 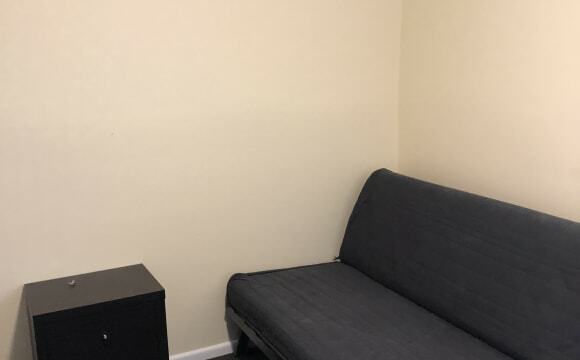 Fully furnished but can bring your own furniture in room. TVs and split system heating and air conditioning in all rooms. Comfortable and spatious lounge, separate kitchen and dining. No Smoking In House. Smoking permitted outside under seated verandah. 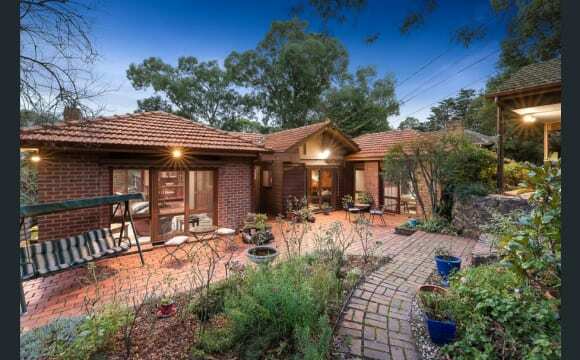 Close to LATROBE, Heidelberg, Rosanna, Yallambie, Lower Plenty. Fixed price and all inclusice cost of $210 p.w. for good sized, secure and locable medium Bedrooms. Bus across the road. Shops around the corner, milk bar, pizza, McDonalds, 7/11, medical pharmacy, Aldi down the Rd etc. 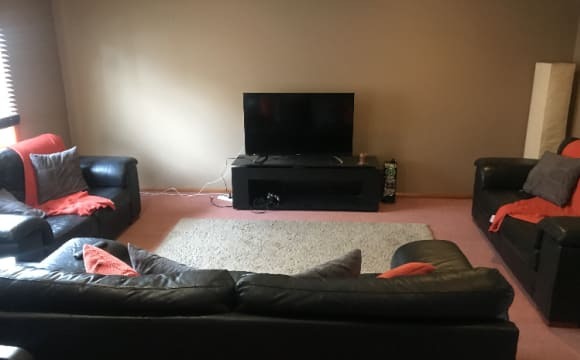 Very clean, quiet house. WiFi throughout. New kitchen, paint, carpets, washing machine, dryer, back yard, vacuum cleaner, TV/Aircond/WIFI/appliances. 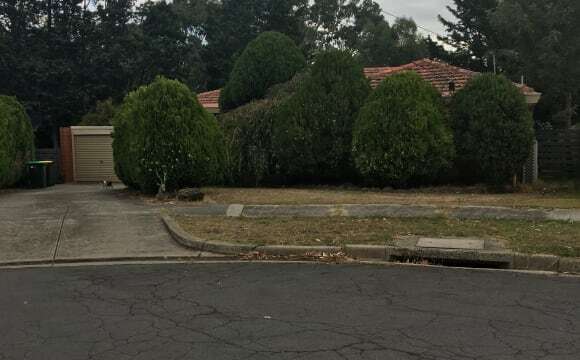 50 metres to Bus Stops 513 and 517 and 5min to Rosanna Train Station. Landlord does not live onsite. 3.9km to LaTrobe Uni, 4.7km to Austin hospital, 3.1km to Greensborough Plaza, 4.5km to Rosanna. Inspect anytime between 8am am 8pm.